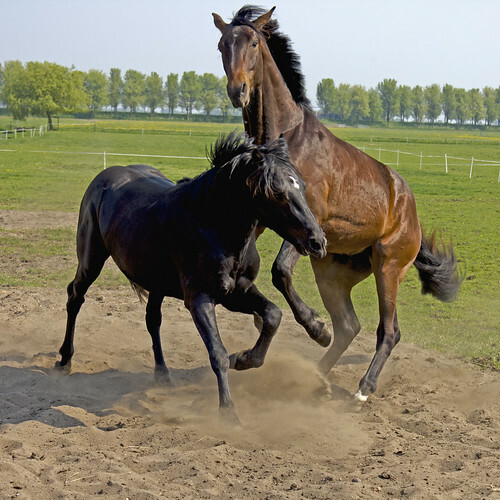 Horses have been a domesticated animal for over 5000 years. 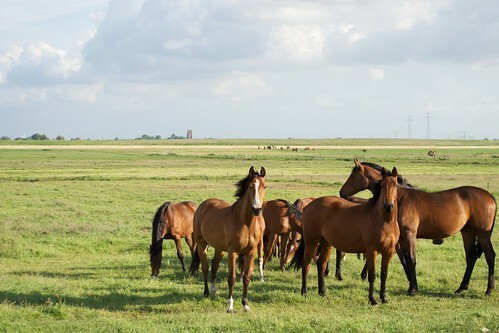 There are about 60 million to 75 million horses in the world. There are over 300 different horse breeds. The domestic horse lives about 25-30 years. The oldest horse on record, Billy, lived to be 62 years old. The only truly wild horse still left in the world lives in Mongolia, the Przewalski's horse. 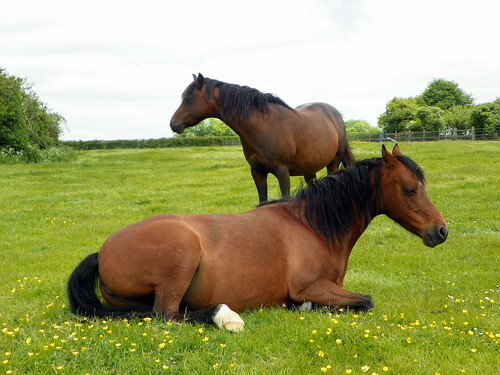 Horses sleep about 2-3 hours a day. A horse can sleep standing up or lying down. They have a locking mechanism in their legs that allows them to sleep standing. A horse has 4 basic gaits. A walk is the slowest gait and the gallop is the fastest. 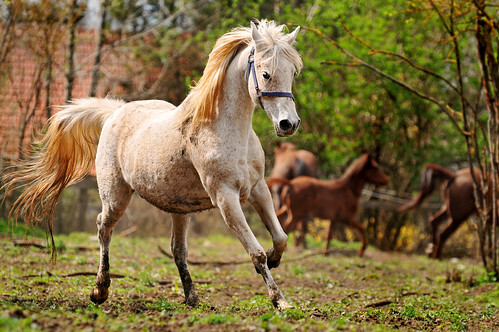 Horses can gallop at about 44 miles per hour. 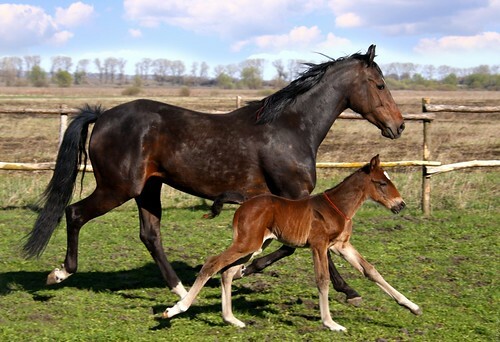 A baby horse can start running shortly after it is born. Horse skeletons have 205 bones. Arabian horses have one less vertebrae and one less rib than other breeds of horses. 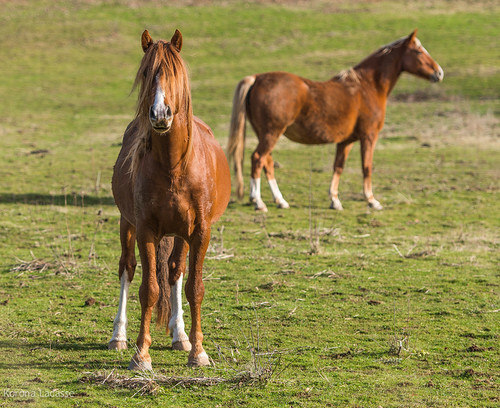 Horse are herbivores and they eat about 2% of their body weight a day. They have small stomachs so they need to eat throughout the day. A horse needs about 10-12 gallons of water a day. Horses are the land mammal with the largest eyes. The eyes of a horse are on the side of the head. This gives a horse about 350 degrees of vision, almost a full circle. Their blind spots are directly in front and behind them. This is why it is dangerous to stand behind a horse. 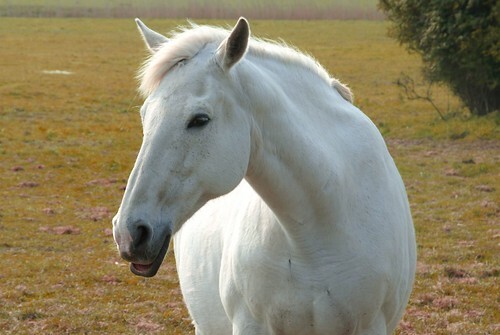 Horses can rotate their ears 180 degrees, this gives them 360 degrees of hearing without moving their heads. Horse hooves are made of keratin, just like our fingernails and hair. 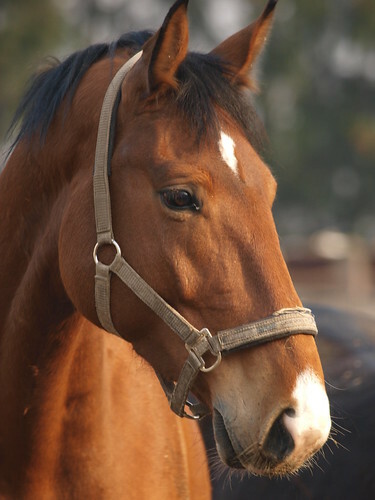 Horses only breathe through their noses. Males horses are stallions. Females are mares. 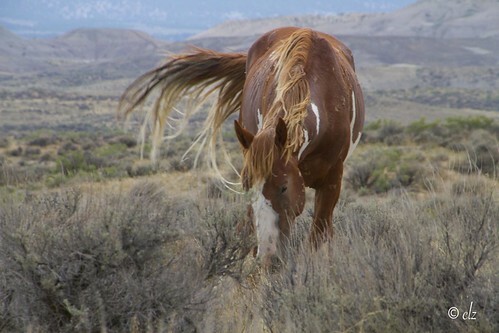 A young male horse is a colt. A young female horse is a filly. 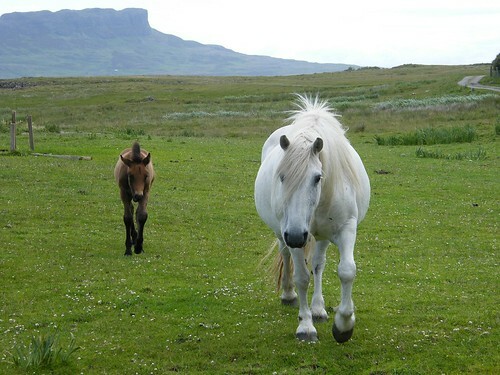 A foal is a horse less than a year old. A yearling is a horse between 1- 2 years of age. A gelding is a castrated male horse. Horses are measured in hands. A hand equals 4 inches. The measurement is taken from the ground to the top of the withers, the ridge between the shoulder blades. 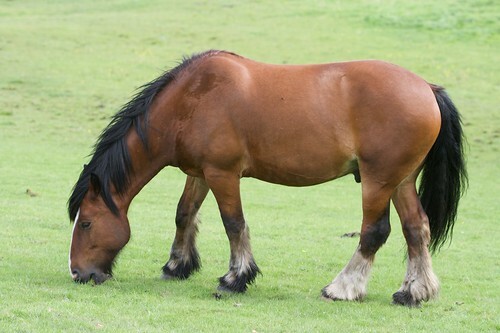 A pony is the general term for horses that measure under 14.2 hands. You can determine the approximate age of a horse by its teeth. The younger a horse, the more effective this method is for getting the actual age. A horse is fully mature at 4 years old, but the skeleton keeps developing until age 6.